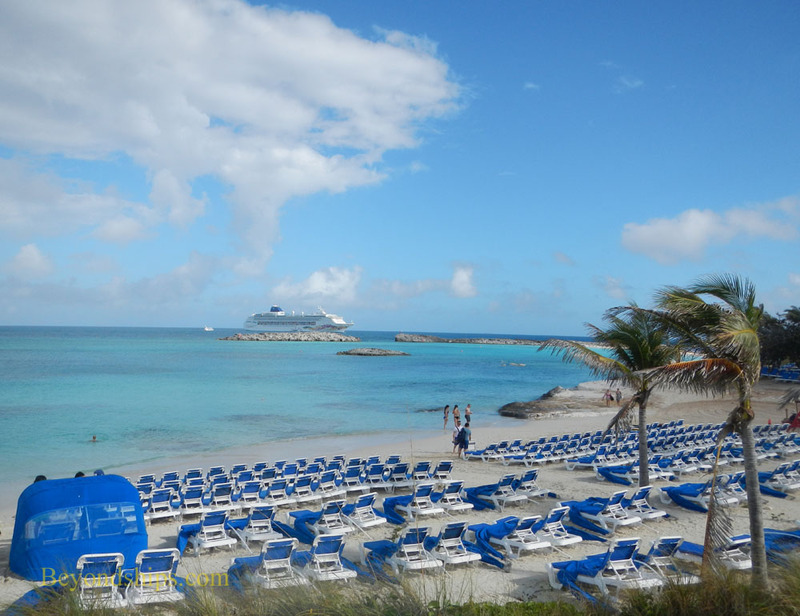 Great Stirrup Cay now boasts a string of white sand beaches leading off from the island's original beach Bertram's Cove. 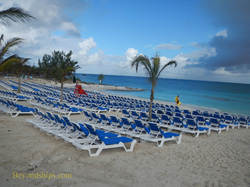 Norwegian continues to develop and enhance these beaches with landscaping as well as additional facilities and amenities. 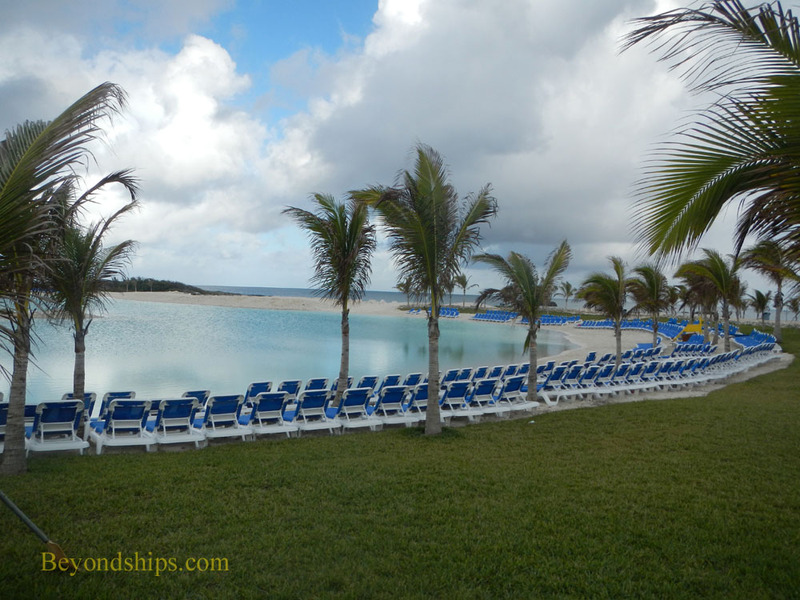 The first beach that you come to after leaving the ﻿Bertram's Cove﻿ area is ﻿Cabana Beach﻿. A mass of white sand slopes upward from the water towards a ridge. Near the water at either end of the beach, the sand gives way in places to the underlying rock. This was the first beach to have private cabanas overlooking the beach. The cabanas are luxury shelters situated along the ridge, which can be rented for the day. 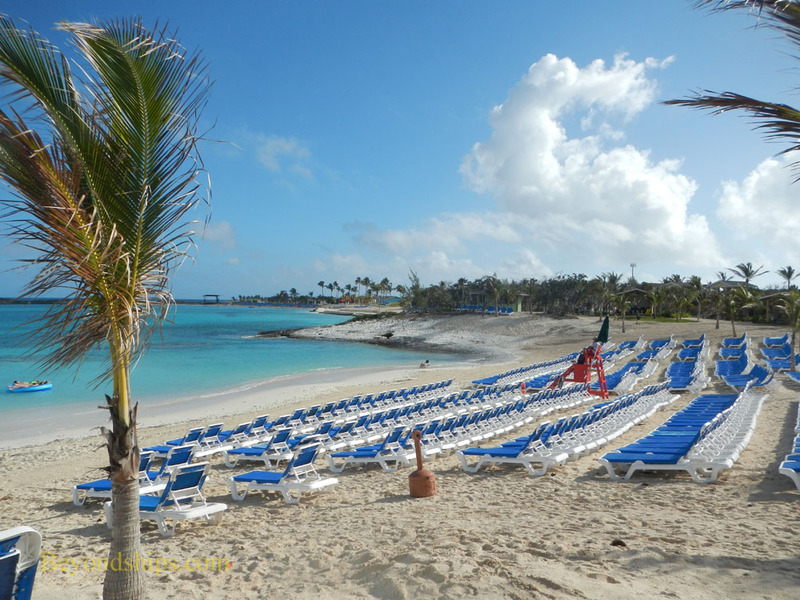 In addition to the cabanas, this beach has sun loungers. There is a lifeguard on duty at this beach. After a small hill covered with some low growing trees, the next beach you come to is ﻿Lighthouse Beach﻿. 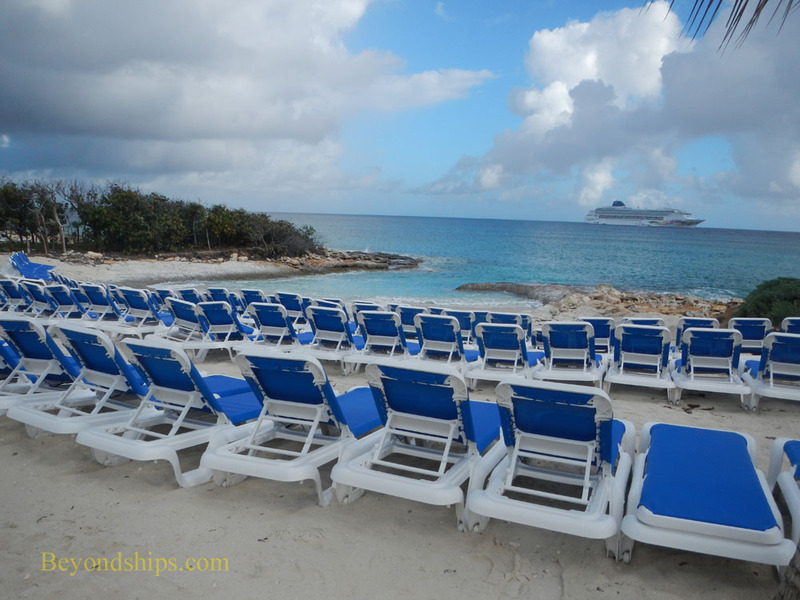 Once again, it is a white sand beach adorned with rows of loungers. In addition, there are private cabanas overlooking the beach. This beach has its own bar. There is also a lifeguard station here. To get to the next beach, you walk along a ridge overlooking a relatively undeveloped stretch of ocean front. Sun loungers line the top of the ridge but there are signs warning that dangerous waves break along the shore. Then you come to ﻿Bobolink Beach﻿. The centerpiece of this area is a calm cove sheltered from the sea. 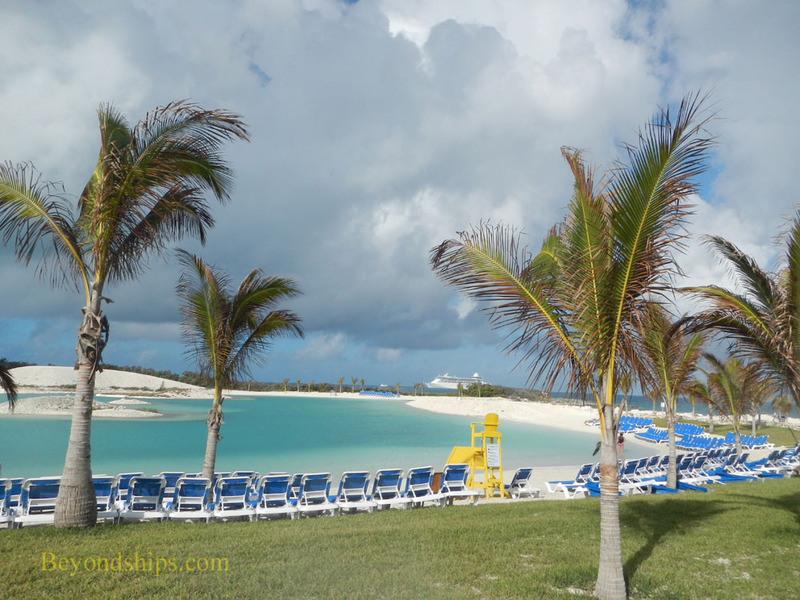 A ribbon of white sand surrounds the cover and the area has been landscaped with grass and palm trees. Also here is a large bar and a building where guests can rent mats and floats.